We are currently running campaigns on Groupon and Living Social for New Patients. Please check them out at Groupon or Living Social to purchase the deal. 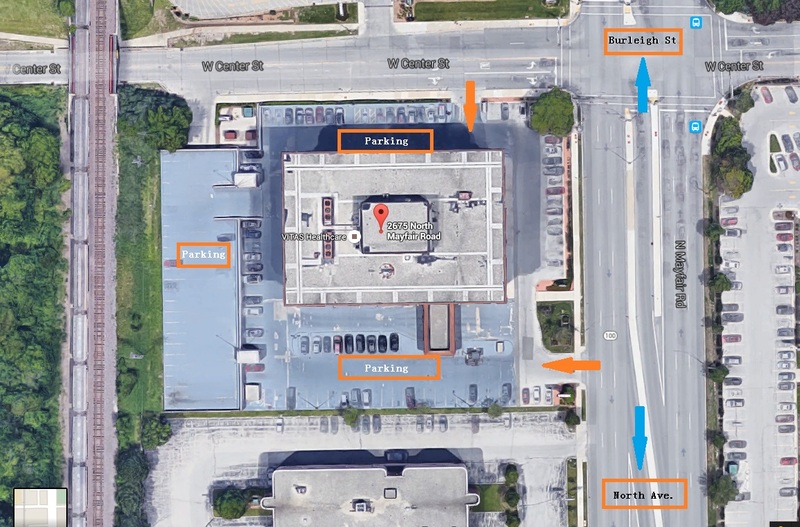 The parking lot can be accessed from Center Street as well as Mayfair Road and parking is available on the north, west and south sides of the building. Please feel free to park in the 30 minute visitor parking spaces. The 30 minute limit does not apply to our patients. Although our location has changed, our office hours, phone number and dedicated, caring staff remain the same. Our commitment to providing quality dental care has been enhanced by the recent addition of a 3D imaging / Panoramic x-ray machine. 3D imaging has proven to be an excellent diagnostic tool and a valuable aid in the placement of implants. We would love to show you our new ‘home’ so please feel free to stop by. You never need an appointment to just say Hi! And better yet – bring a guest or two! We always welcome the opportunity to meet and serve the dental care needs of your friends and family!